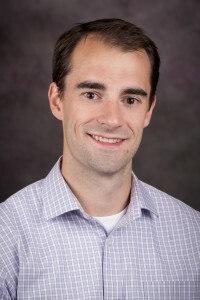 Nathaniel Birkhead, assistant professor, was awarded the Commerce Bank and W.T. Kemper Foundation Outstanding Teaching Award this year. The Commerce Bank Award is a university wide recognition, which only one faculty member in the College of Arts and Sciences receives annually. Dr. Birkhead teaches courses on American politics, focusing on Congress, the presidency and political participation. He is highly regarded as a dynamic, challenging and caring instructor. Not surprisingly, Dr. Birkhead’s courses are among the most popular in the department. Before coming to K-State, he was recognized as the associate instructor of the year for the department of political science at Indiana University in 2011. Dr. Birkhead is a dedicated and accomplished scholar as well. His current research examines executive vetoes at the US state level and ideological extremism and party polarization in the U.S. Birkhead has published twice in the prominent journal Political Research Quarterly and his articles have also appeared in Legislative Studies Quarterly and American Politics Research. His research has been sponsored by the Center for the American Governor at Rutgers University.